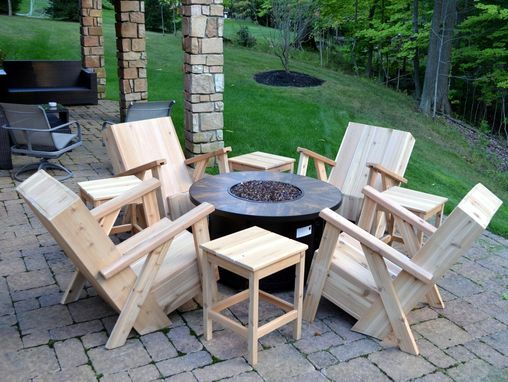 Here is a set of 4 chairs and 4 tables. They are made from western red cedar wood. 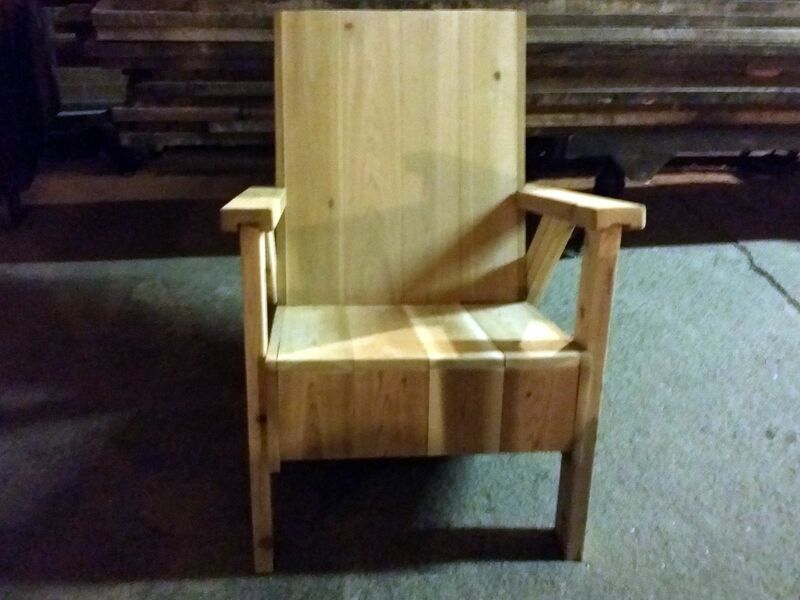 The customer wanted to have the whole chair in one continuous piece of wood. So all the 4 different woods run from the base of the chair to the back. the grain pattern will follow around the chair. The picture of all 4 is at the customers house and how they sit around the fire pit.